Nuevo reconocimiento. Beautiful Moments™ World Photography & Essay Contest 2018. Estoy muy contento de anunciar que he sido seleccionado “World Top 50” en el prestigioso Beautiful Moments™ World Photography & Essay Contest 2018. “On behalf of the jury panel, I am pleased to announce that after days of careful consideration, the Beautiful Moments World Photography and Essay Contest has made the very difficult, yet exciting decision of choosing the top 50 winners. 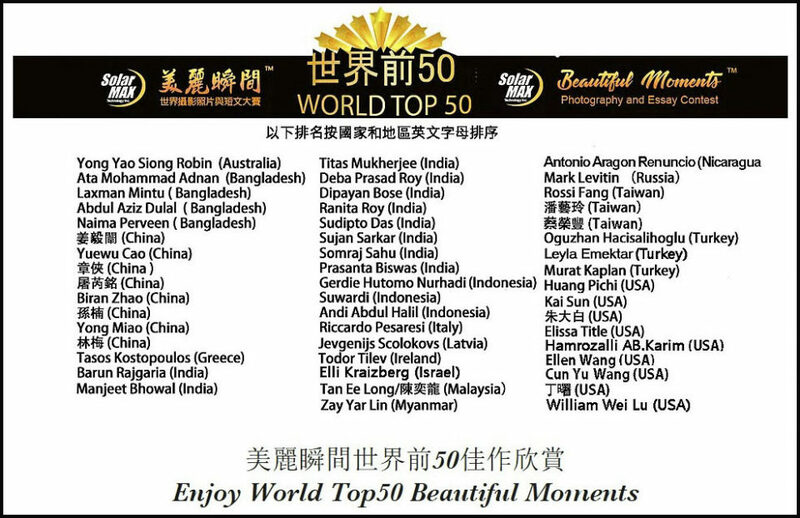 We sincerely thank every each of you for your participation and congratulate each of the top 50 winners. The top ten finalists will then be selected from top fifty submission by the judging panel, and this list will be posted on the LA Primetime TV website on June 5, 2018. Finally, the top 3 winners of $1,000 for third place, $2,000 for second place, and $5,000 for the grand-prize winner, will be announced at an award ceremony and gala to be held in Los Angeles on June 23, 2018. Attendance of this event is not required for consideration or eligibility.